A childless middle-aged couple faces a marital crisis of sorts. 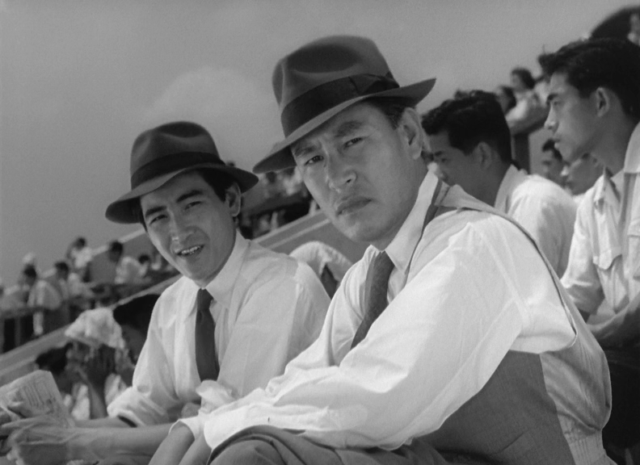 Taeko (Michiyo Kogure) despises and regularly deceives her quiet, saturnine husband, Mokichi (Shin Saburi), who works as a corporate executive and who only seems to come alive when visiting bars, racetracks, and arcades with a younger friend. 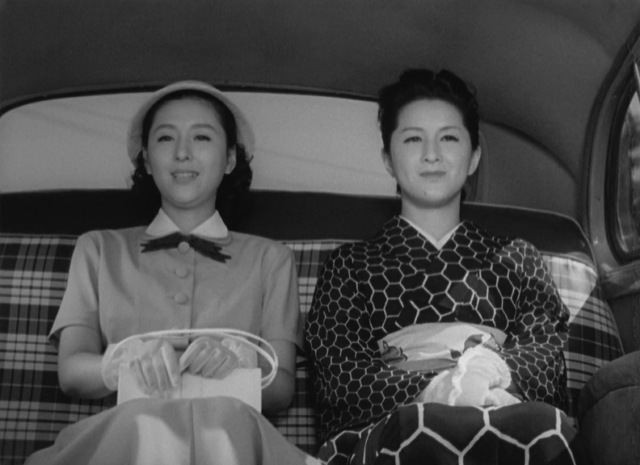 Meanwhile, Taeko’s niece, Setsuko (Keiko Tsushima), resolves not to accept an arranged marriage and end up in an unloving relationship like that of her aunt and uncle. 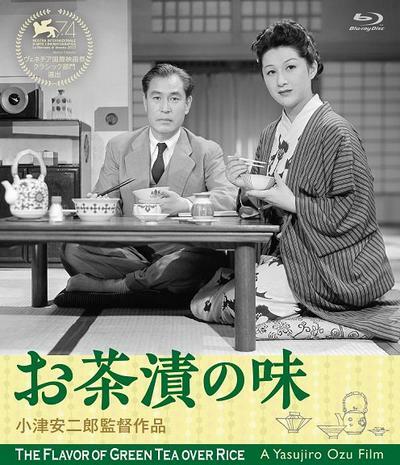 Flavour of Green Tea Over Rice is a lovely, charming, and genuinely affecting film that brings out the emotional profundity of the most ordinary occurrences. The movie’s characters are, without exception, subtly and skillfully delineated. Taeko may be selfish, impulsive, and scornful of her husband, even referring to him as “Dull-san,” but she is not an exaggerated shrew. She is, instead, revealed to be a very ordinary person trapped by her own prejudices and unable to see her own good fortune. Mokichi, though apparently as morose and sluggish as Taeko believes him to be, is, in truth, living his life the way he wants to and not failing to appreciate his existence. 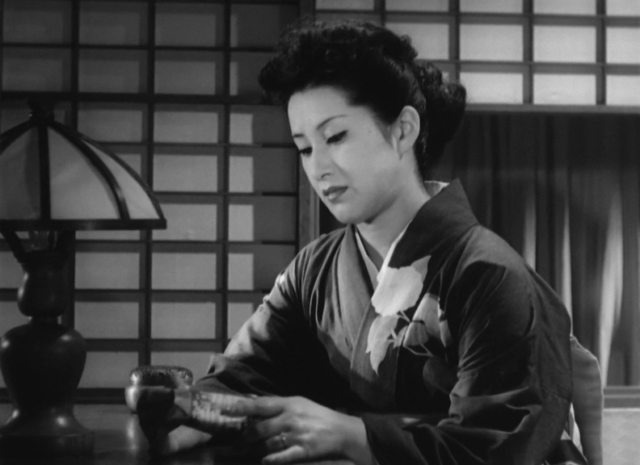 Setsuko, though headstrong and willing to assert herself, even when doing so antagonizes others, clearly loves both her aunt and uncle and relishes the time she spends with them. In fact, there is not a character who appears in the film who does not contribute to its worth, even if only in some small way. The events in which these individuals participate are also nicely realized. 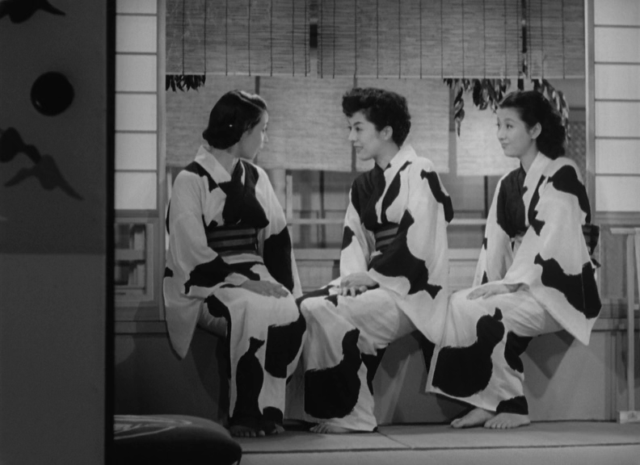 Ozu, as he always does, demonstrates his talent for depicting the simple happenings of everyday life and exposing their enchanting depths without ever burdening these with histrionics or absurd tragedies. He thus suffuses his presentation of Taeko’s visit to a spa with a group of her friends, during which these women sing, joke, drink sake, and feed the goldfish in the pool beneath their window, with a real sense of fun. 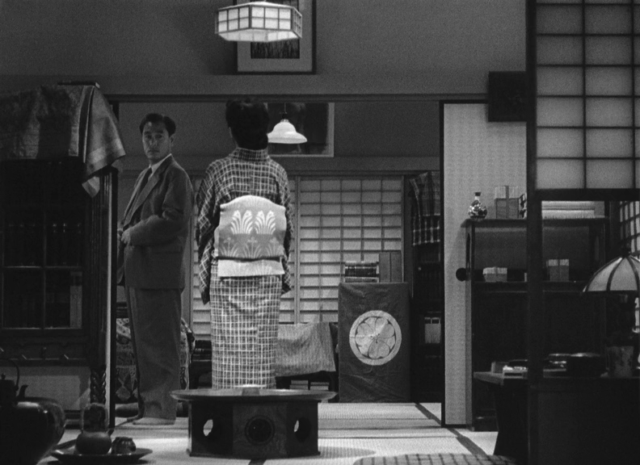 He brings out the happiness and closeness Taeko and Mokichi share after they are reconciled by depicting them rummaging about a kitchen together, and he exposes Mokichi’s quiet dignity when showing that man slyly supporting Setsuko’s rebellion while overtly upbraiding her. The movie is absolutely filled with such telling moments.